This house and its new extension occupy a relatively large mature plot of approximately 0.24 acres in a town centre location. The house was built in about 1889 as one of the first generation of new large 4 storey townhouses in the Phippsville area. 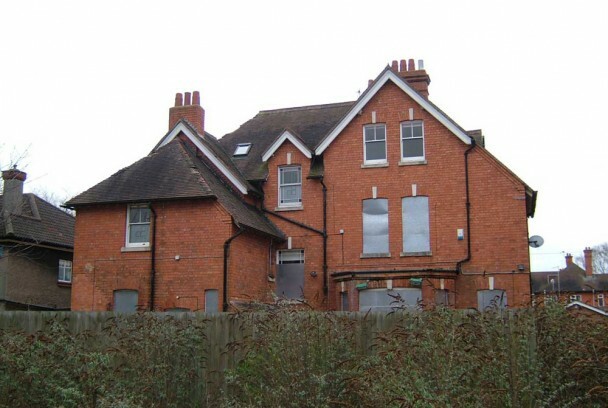 It was built as a house and used as the ‘Brown’ family home until the 1950’s, but since this time had had a chequered history being used as a nursing home, an opticians and various other medical uses. 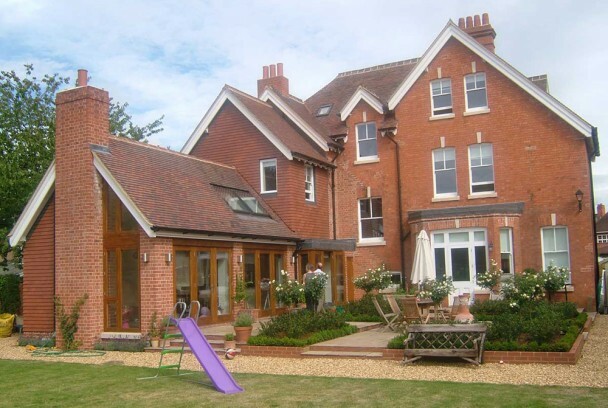 The clients requirements were to convert it back to family home and garden, with the overlay of modern living in a new extension. The proposals provide an extended, more energy efficient and sustainable six-bedroom house sympathetic in form, layout, scale and materials to the existing, whilst increasing the range of living spaces interacting with the garden. The relatively large garden has been restructured around the existing elements to reinforce this relationship between inside and out, so that the existing house sits within a quality landscape setting appropriate to a traditional introverted town garden. 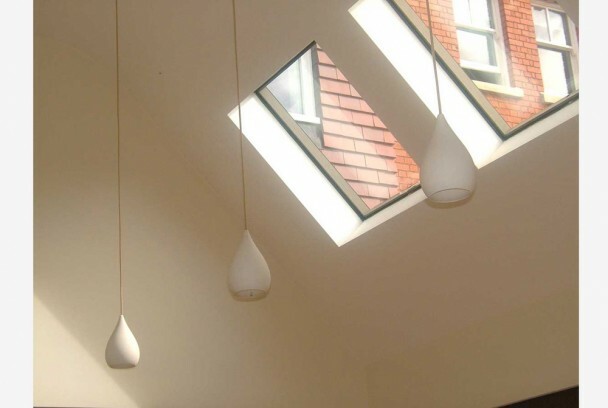 From the street the dwelling will seem little changed, whilst for the family the quality of space and natural light especially in the extension is greatly enhanced. The design extensively and sympathetically renovates and refurbishes the existing 6 bedroom house, and extends the property beyond the existing kitchen to create additional dining and sitting spaces. The proposed single storey extension sites itself in the general location of the former coach house, using a similar form to the existing house with a 50* pitched roof. 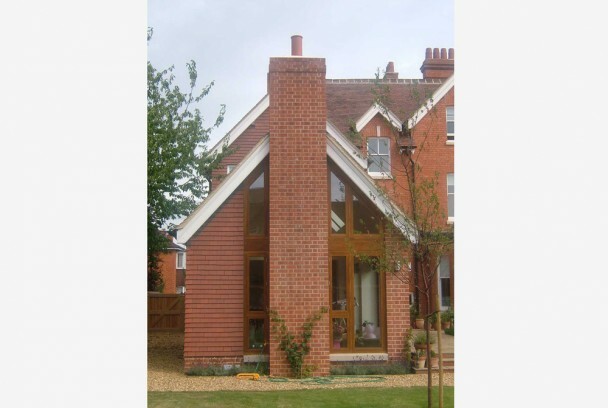 The materials used for the extension are brick and plain tiles similar to the existing. 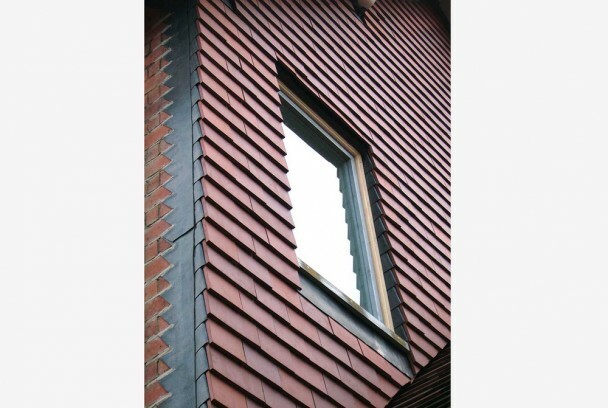 The clay plain tiles are used on the roof, for the cladding to the extension, and where the existing façade is modified to enable the extension. The proposals use this approach to complement the existing brickwork and create a deliberate divide between old and new. 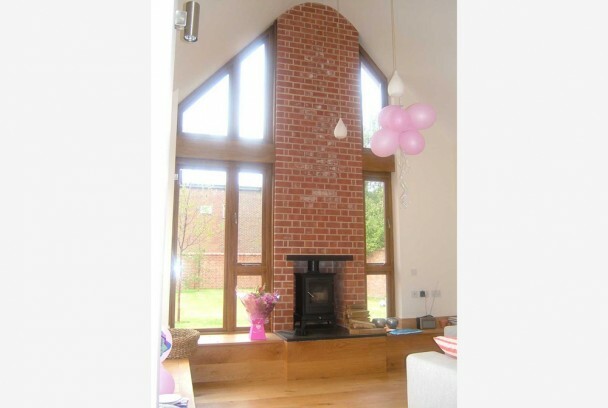 The extension is completed and ‘stopped’ by a new brick chimney, mimicking other existing chimneys, with a stove internally.